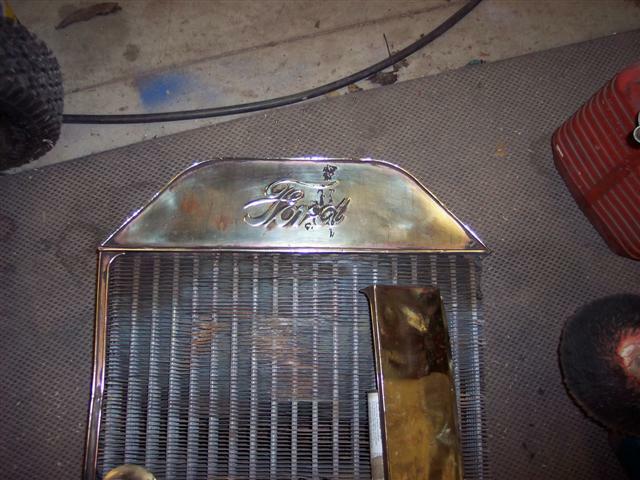 Model T Ford Forum: Is this Brass Radiator worth anything or scrap metal? Is this Brass Radiator worth anything or scrap metal? 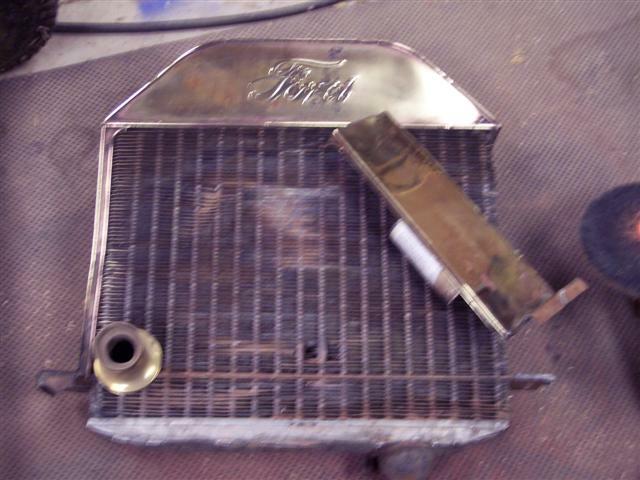 Model T Ford Forum: Forum 2009: Is this Brass Radiator worth anything or scrap metal? Yes, the round tube core leaks. So I don't know if the rest is worth saving or not. 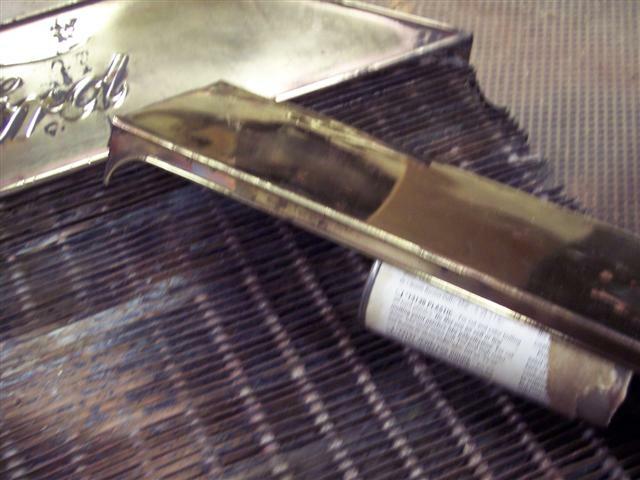 With that said, the 09-15 brass radiators generally are sale-able no matter what shape they are in. If the front of the top tank and the sides of the radiator are re-usable, you have around $100 in parts there. I can't read a Made in USA on the front panel? Does it have a manufacturers tag on the back? I might be interested in buying it!! I have repaired worse ones for my own use. I'll take a look tomorrow for a tag on the back and to see if it says Made in the USA. I have the car and parts stored about 10 minutes from my house. I'll try and take some better pictures also. Looks to me like you got some valueable parts along with your car purchase. I would say with time the radiator would be fixable.Considering the cost of new,a few nights in the shop by the wood stove doing some repairs,could be made to work. Just as decoration on a garage wall, that would be worth reasonable money! If the inlet and outlet are still good I'd save those, and if it is an early one save the patent plate. I wouldn't throw away any part that can be reused. Anything is repairable it depends on how much time and money you want to invest. Just be sure you pick a reputable radiator shop. I went to a fellow who claimed he could repair antique radiators and boy did he make a mess of mine. Be sure to get references. I think in another post about radiators a fellow had a shop just outside of Pittsburgh PA repair a brass radiator....Was it Glenshaw PA?